Gov. Jerry Brown signed a bill Monday decriminalizing sidewalk vending in the state and requiring cities that want to regulate the industry to first create a permit process. The bill, which goes into effect on Jan. 1, establishes minimum standards for sidewalk vending regulations and would not permit local governments to prevent sidewalk vending in an area unless there is a health, safety, or welfare issue. Vendors who were previously convicted of sidewalk vending violations may also petition the court for a dismissal of the conviction. 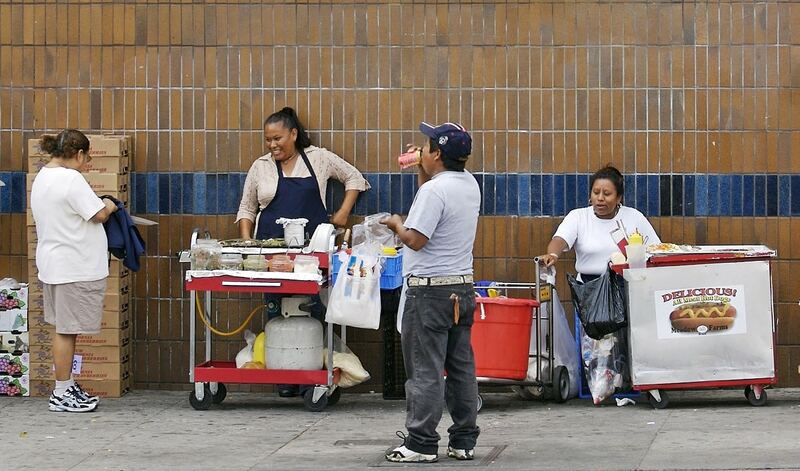 In April, the Los Angeles City Council directed the city’s attorneys to draft a proposed sidewalk vending ordinance that would limit many blocks to two vendors, but would allow for the creation of special vending zones where more would be allowed. The draft ordinance has not come back to the City Council for a vote.